Moving takes preparation. There are belongings to be sorted and packed. Large furniture needs to be taken apart. Extra care needs to be given to dishes to prevent breakage. Then there are appliances to deal with. When purchasing or selling a home, these devices do not necessarily stay with the property. Depending on the sales contract, it may be necessary to handle the packing and to store appliances of all sizes. With the right preparation and a unit from a trusted self-storage company in Moraga, your washer, dryer, refrigerator, and coffee pot can survive the relocation. It takes more than an empty space to tuck your items away. The right packing supplies, including sturdy boxes and quality packing tape, can make all the difference between setting up the house quickly and making an emergency purchase. Clean, Clean, Clean: You do not want to open up a door and discover an unexpected science project growing! Take the time to scrub and clean every nook and cranny. Remove dust from compressors and grates. Remember, any food particles left behind will attract bugs. Start Early: Plan your packing so that you can unplug and defrost or dry appliances completely. Finish food and discard unwanted leftovers. Wash up all laundry. Then disconnect and leave doors open and hoses draining to dry. Coil the cords and tape to the appliance. Wrap Fragile Components: Use bubble wrap, blankets, or towels to wrap glass and other fragile pieces, so they do not break during the move. Tape Doors Shut: When it is time to move, tape all doors shut to prevent a sudden opening, as well as, scratches and dents. Open Doors: Once at your storage unit, remove the tape and open the doors to allow air flow and cut down on mildew forming. Take Extra Care with Small Appliances: If you have the original box of your coffee pot, toaster, or other small appliance, use it. If not, find a box that is close to its size. Coil up and tuck the electric cords securely. Use packing materials to keep parts from shifting and breaking. Keep your washer washing, your dryer drying, and your coffee pot perking when you take the necessary steps to protect your appliances. 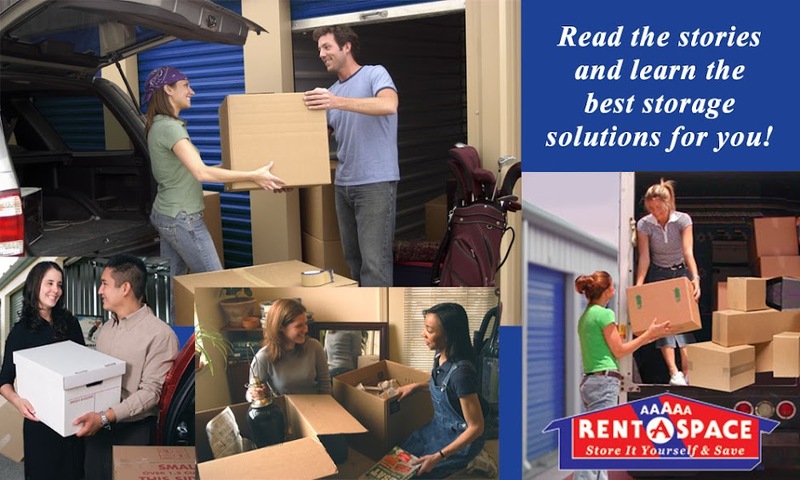 A 5A Rent-A-Space self-storage unit in Moraga can make stowing all your belongings a snap by moving you into your rented unit with our free van. Gain peace of mind knowing your belongings are tucked away and ready for your new home. Fall evenings can be beautiful. The cooler air offers much-appreciated relief from the heat of the preceding months. As summer winds down, many of your patrons may forego dinner on the patio and stay in the dining room. Soon, the only bodies showing up for lunch outside will be birds looking for a free meal. That is when you know it is time to pack up your patio furniture for the winter months. Your outdoor furniture is an investment in customer satisfaction and loyalty by providing relaxation and enjoyment. The more relaxed they are, the more they feel free to congregate at your establishment. Avoid treating your investment poorly by throwing it into a shed, or worse, leaving it exposed to the elements. With a little preparation and a convenient 5A Rent-A-Space self-storage unit near San Mateo, your chairs, tables, and umbrellas can be tucked away ready for spring. We can even help move you with our free van when you rent one of our units. Clean All Furnishings: The last thing you want to do next spring is to pull out dirty, even moldy, tables and chairs. Brush off dust build-up. Wash away dirt with soap and water and dry thoroughly. There should be no moisture left to cause mildew and mold. Follow the manufacturer’s suggestions on best cleaning practices. Extend Longevity with Protective Coatings: Depending on the material, you may want to spread some type of protective finish. For example, car wax can help protect plastic and aluminum. Now is an excellent time to add a water sealant to your wood pieces. For metal, remove rust with a wire brush and then seal with a silicone sealant. Use touch-up paint to cover up small scratches. Use Cloth Covers: Avoid grabbing a large roll of plastic from a home improvement store thinking it will protect your stuff. Plastic does not breathe. Instead, your pieces will build up condensation and mold. Choose materials that breathe, such as cotton. Remember to Stow Away the Extras: Not only should you store your patio furniture, but you should take steps to tuck away those extra bits, such as seat cushions, umbrellas, fire pits with their covers, and grills. Breathe a sigh of relief next spring when you take steps to protect your restaurant’s patio furniture now. Your 5A Rent-A-Space self-storage unit near San Mateo can help you give your customers more laughs and good times by providing clean, well-kept seating. New memories and years of patronage await! Reserve your self-storage unit online now. Call 5A Rent-A-Space at 650-338-0016 or toll-free at 1-800-5ASPACE (1-800-522-7223) to learn more. Not sure how much space you will need? Use our online Space Calculator to estimate the best unit size for you.